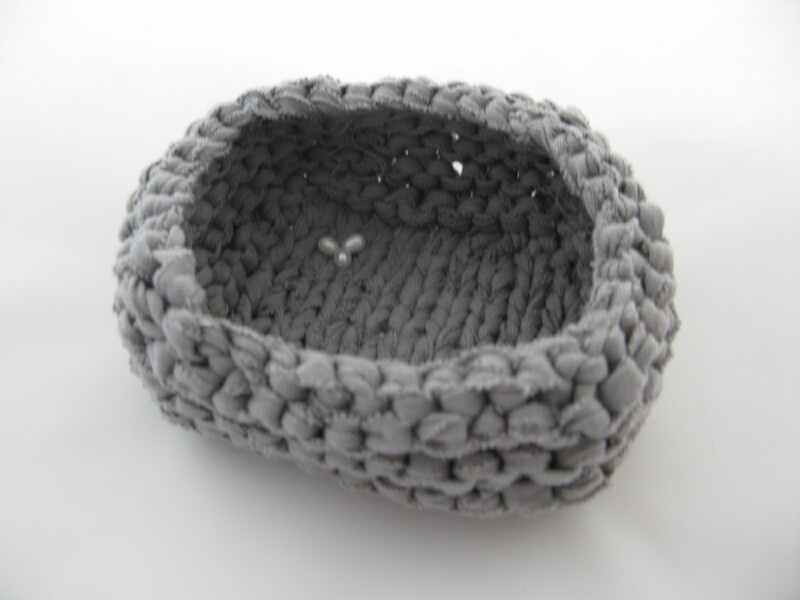 Just added a new free knitting pattern to Ravelry and our sister website, Littletheorem Knits. 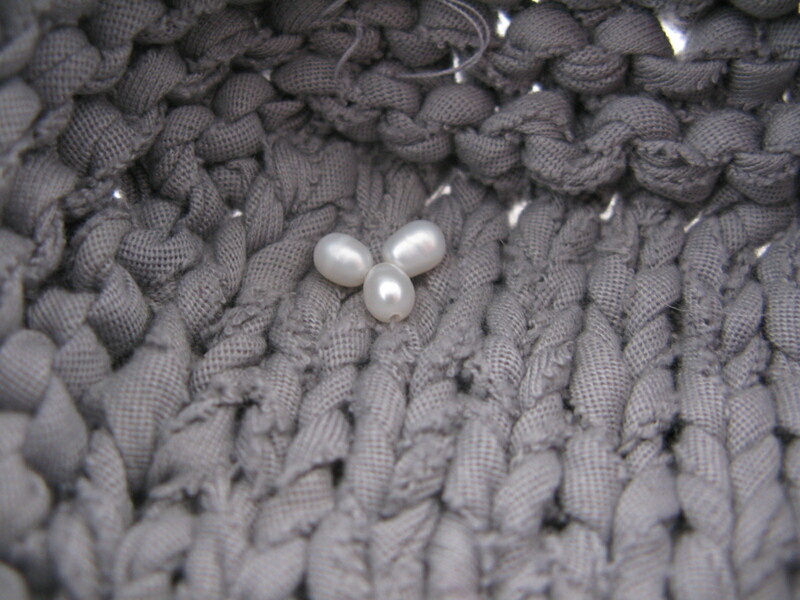 Knit 1 Pearl 1 is a cute little storage box knitted in superbulky cotton tape with pretty pearl detailing. It’s really quick too, definitely less the a one hour project. You can find the pattern on Rav here, and on Littletheorem Knits here. In other news, it was my first week back teaching after the summer and my first week at a new school. Very pleased to report that everything’s going great so far. Even the commute’s pretty quick and easy! Still finding time to do lots of knitting, spinning and cooking after school (thank goodness). The picture of the alpaca handspun last week is half turned into a chunky lace scarf. 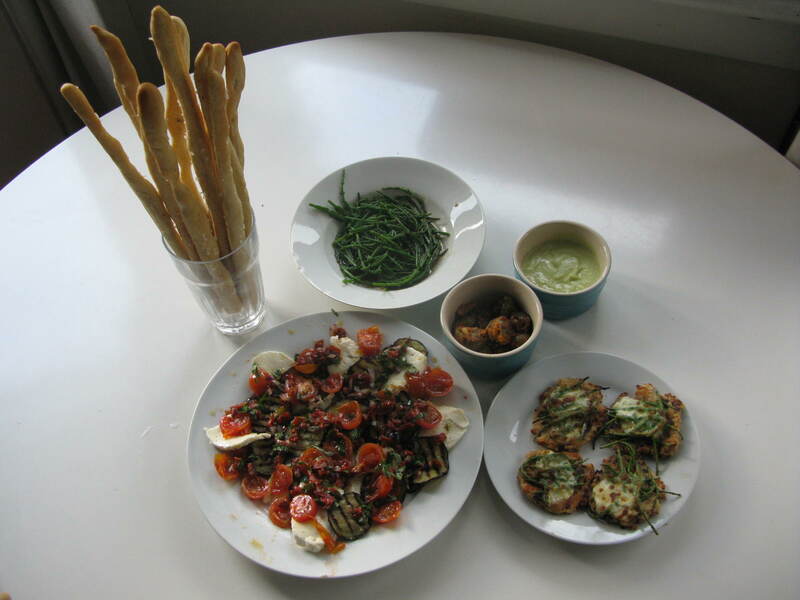 And here’s a pic of Friday night’s dinner: veggie tapas for two. We’ve also starter to house-hunt more seriously. After 7 years of living together in rented flats (good and bad! ), Dunc and I both finally have full time, permanent contracts and can get a mortgage (whoop)! We looked at a house this afternoon that was lovely. Small and quirky in a quiet, leafy street, really beautiful inside with a big garden, buuuut…. it’s sandwiched between two disused industrial units. You can’t see them, but the road down to the house would be pretty scary at night, and there’s a lane behind the house with lots of empty beer cans. Not such a good sign… Think we might keep on looking for now! That’s such a cute little project! I love the pearl details. Good luck with finding a new home.